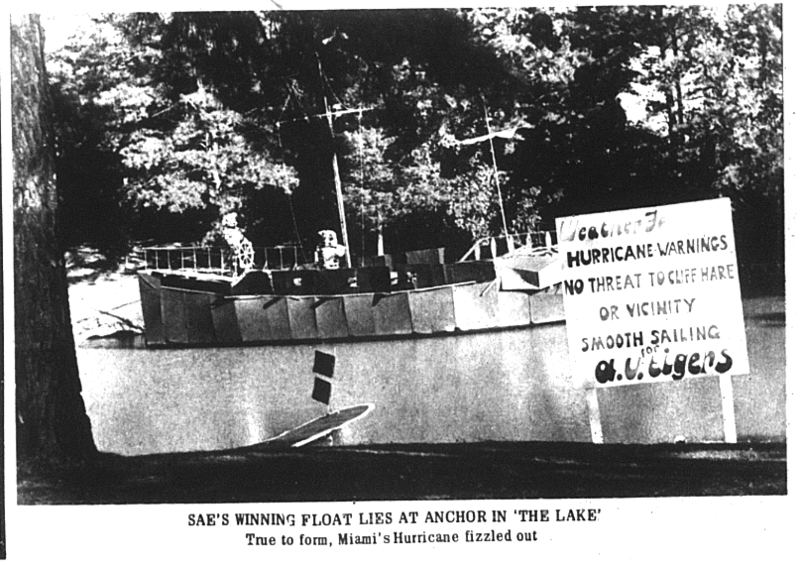 That’s how Auburn spirit rolled back in the day—I mean floated: On an actual—maybe even sea-worthy, who knows—boat. It’s just one of many examples of once upon a homecoming decoration dedication that should make you ashamed of your shoe polished windows and tricked-out plywood. Miami didn’t have a chance, 31-6.